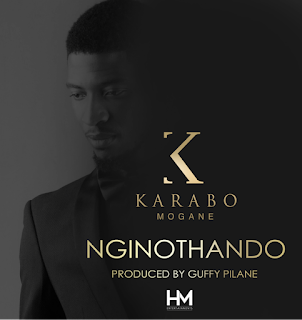 After weeks of anticipation, teasing and excitement, R&B and Afrosoul crooner, Karabo Mogane releases his newest single Nginothando tomorrow. The stunning easy-going and singalong love ballad produced by the legendary Godfrey ‘Guffy’ Pilane heralds Karabo’s forthcoming album. Even days before its official release, the song trended on twitter for three days, at some point being the number one topic on social media. 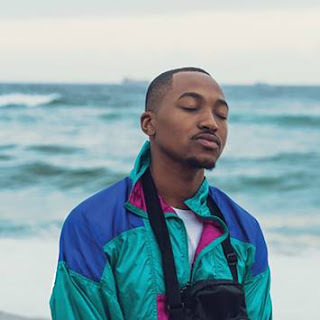 Karabo, the Idols SA 2015 winner, is now signed to HM Entertainments and applies his winning formula as he takes his audience on a journey and paints a mosaic about love in all its colours and shades. "With Nginothando I take a new bold step with my career. I’m delighted and overjoyed with the sound and how everything came together when I worked with Guffy, whom I respect so much, in the studio. I have no doubt that music lovers will appreciate the craftsmanship and the elements that make Nginothando so special," said Karabo. Guffy said that Karabo has such a distinctive voice that he couldn’t miss the opportunity to produce Nginothando for him. "This is his time to shine and I’m proud of this song that will be the soundtrack of this summer. It’s a winner," said Guffy. Hloni Modise, MD of HM Entertainments gave Nginothando her thumbs up: "We have stood behind Karabo because we believe in his talent. He has outdone himself on Nginothando. It will place him right up there with the best of the best in Afrosoul and we couldn’t have hoped for a better producer than Guffy. This is a great meeting of minds and talents. We are proud as HM Entertainments."